The Nikkei 225 index is the stock exchange of Japan, and it is traded as a derivative asset in the binary options market. It is sometimes known as the Japan Index on trading platforms like that of Betonmarkets. To understand how the Nikkei 225 operates, let us get some facts about the Japanese economy. Japan is an export-oriented economy, with most of its exports going to the United States. This ties the performance of the Japanese economy to the performance of the US economy. As such, we see the Nikkei 225 index moving almost in total correlation to the US stock markets. A historical study will show that the performance of the Nikkei 225 on a trading day mirrors the performance of the Dow Jones index on the previous trading day. This factor alone can be used by traders to glean dollar after dollar of pure profit by knowing just how to play the Nikkei 225 based on the previous performance of the Dow Jones index. 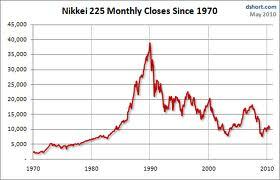 Here are a few tips to make money trading the Nikkei 225 binary options contract. There is perhaps no other data that affects both the US and the Japanese markets like the US Non-Farm Payrolls report. Take a look at the market response of both the Dow Jones and the Nikkei 225 average to the last NFP report for May, released on June 1, 2012. This report disappointed the markets and sparked off a sell-off on the Dow Jones index. On Monday June 4, 2012, which was the next trading day following the release of the NFP, the Nikkei 225 shed so much value that by Tuesday June 5, 2012, it was trading at multi-year lows. Once the US markets cough, the Japanese markets catch a cold. Other reports such as the GDP and the retail sales data, all reflect the health of the US economy, which is Japan’s number 1 trade partner. If the US economy is not growing, it will affect its ability to import goods and raw materials from Japan, and this will also hurt sales of imported Japanese products to the US consumers. A bad GDP and retails sales report will lead to sell-offs on Wall Street and corresponding sell-offs in the Nikkei 225 index. A good GDP and retail sales data will lead to gains on both the Dow Jones and Nikkei 225 indices. We also see the same effect from the consumer sentiment and manufacturing data out of the US. If you trade the market open, it is very easy to make money. Once you are armed with the kind of information we have listed above, all you need to do to make money from the Nikkei 225 is to exclusively trade the market open. The first hour of trading is usually a response to the events in the US markets the previous day. So what you should trade is the MARKET OPEN and not the market close. Compile your trade component on Option Builder, and set your expiry to correspond to 15 to 30 minutes after the Nikkei 225 open. So check your time zone and set the trade to expire within 15 to 30 minutes of the Nikkei 225 open. By the time the trading day wears on, other factors will come into play which may affect the market close. So in trading the Nikkei 225 binary option, trade the market open according to the guidelines we have stipulated above.